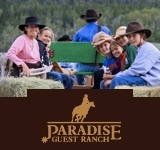 Elk River provides a smaller & more intimate dude ranch experience with highly personalized service (their capacity is only 15 guests per week, with a 2:1 guest-to-host ratio). 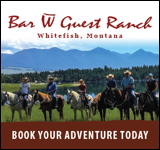 Their location is 30 minutes from Steamboat Springs, which allows guests a bevy of activities inside & outside the Ranch (not to mention easy access with Steamboat’s many direct flight options). 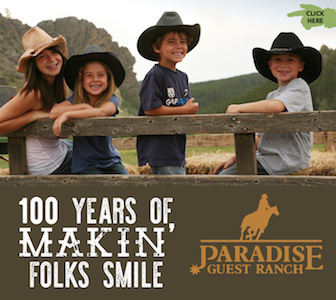 The dining options rely heavily on locally grown-and-raised food that blends both hearty and healthy options. They also offer 4 nicely appointed modern cabins for guests, each with wood-burning stoves or fireplaces.